Thinking About Buying A Home in Norwood, CO? Are you in search of your dream home? If you are like many Americans, owning your own home is an important step in your search for autonomy and security. 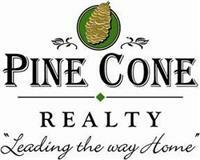 Whether you are relocating to the area or moving a block away, the team at Pine Cone Realty will be able to assist you in finding a home to match your dreams. Arleen Boyd and the team at Pine Cone Realty are able to offer buyers powerful assistance that will make your next move a simple one. The variety of services the team is able to offer home buyers include, providing home buyers with up-to-date listings and narrowing properties to match the criteria of the home buyers individual needs. Performing a home search has never been as easy as it is with the help of the Arleen Boy and her team of professionals. 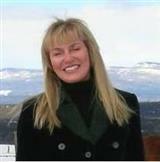 Arleen Boyd offers buyers a website that always current with the listings provided by the MLS. Home buyers are able to search, browse, or linger on the Featured Listings section. The property listings contain quality photos of the homes, valuable property information, and in-depth descriptions. Home buyers can benefit from the state-of-the-art Home Tracker system. The My Home Tracker allows buyers to sign up and receive email updates with the newest market listings matching their individual criteria. The result is that buyers using the service of Arleen Boyd has an edge in the competitive real estate market. Armed with the team's valuable insights, home buyers will be prepared with an outline of the entire buying process. The valuable knowledge possessed by the team will help home buyers understand the sometimes difficult process. With expert guidance home buyers will have the answers to their questions. Arleen Boyd provides Buyers Resources which outline some of the most commonly asked questions. Within the articles provided, home buyers are able to read information about buying real estate. The team provides services that help buyers unfamiliar to the area. On Arleen Boyd's website, buyers can access area and Community Information. Home buyers who are interested in a specific area can search the location and request a Neighborhood Report. With the tools provided by the site, home buyers are able to easily discover their new home. Our team works closely buyers, and is determined to understand and meet all of their real estate goals. We are committed to helping home buyers find the right home at the best possible price. Contact Arleen Boyd, and begin the journey to your perfect home today!